Hatching is used to indicate areas such as paving, mulching, decking etc. The area to be hatched can be formed by a number of entities, but it must be a closed space. The HATCH command is used to start the process,a selection from a series of hatch patterns is made, the scale of patterning adjusted the zone hatched. Pick the Hatch icon from the Draw toolbar. Hatching entities in gCADPlus landscape designs. 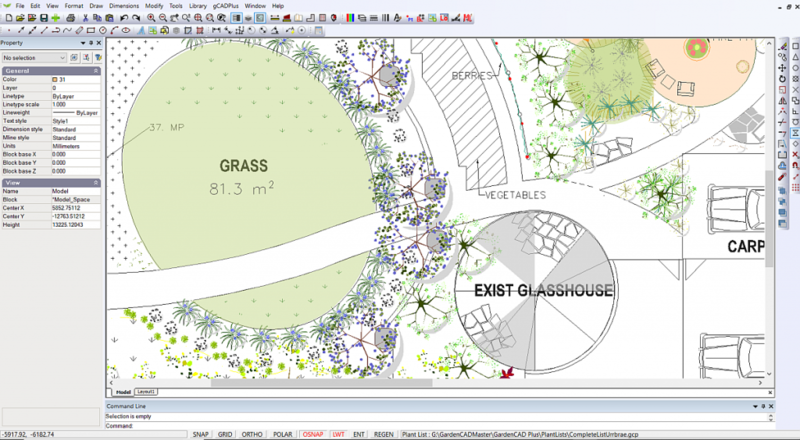 How to apply different hatch patters to gCADPlus landscape plans. We use the MATCHPROP command and ‘paint’ one hatch patterns from one zone to another. 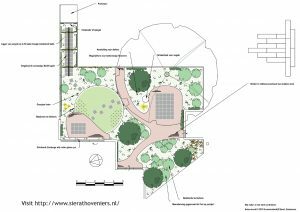 We examine the use of different styles of hatching in a detailed design for a rear garden space.